For the week of Wednesday 4 March 2015 KaliSara and RevKess attempted to explain some of the murkiness that is in the world today. They may not have succeeded in anything other than shedding some of their own perspectives on the issues they discussed, but they hope that the listener gains some kind of an understanding of those issues. Netanyahu before Congress: Israeli Prime Minister Benjamin Netanyahu made his third appearance before a joint session of Congress in the United States. He was invited to speak before Congress by Speaker of the House John Boehner, bypassing the traditional invitation source of the White House and the Office of the President. You can watch the video of his speech through the New York Times YouTube channel and read the transcript on the Washington Post. A brief response from President Obama. Hillary Clinton’s private email: The House Benghazi Panel is questioning former Secretary of State Hillary Clinton’s use of a private email address to correspond with staffers, elected officials, and other politicians during her time in that office. Some question if she handed over print outs of all her official and work related emails when she left that cabinet post as well as if all official correspondence sent to government email addresses were indeed backed up on official servers. The Wall Street Journal has coverage. Jacob Gershman takes a legal view on the issue on the WSJ Law Blog. What are our world leaders really trying to do? 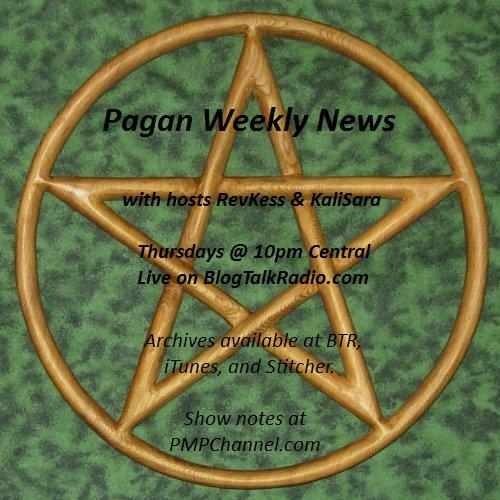 KaliSara and RevKess do not currently have any links for this topics. There are numerous opinions out there on what various leaders want to do. Both hosts agree that many political and world leaders say they have good intentions, and many of them truly do, but that many of those same leaders are also very human – self serving. Next week’s edition of PWN will address this topic in a vague manner as the hosts discuss what, in the United States, religious and secular non-profits can and cannot do or say in regards to politics. Campaign season is starting for the Oval Office and other seats in federal, state, and local governments. Sharon Knight – Song of the Sea – Song of the Sea Sharon Knight is conducting an IndieGoGo campaign to support her newest musical project, Portals, which will include a CD, a music video and an art book. You can learn more about her campaign at www.SharonKnightPortals.net.